Is your kid on that dreadful phase wherein he/she doodles on furniture and walls? The idea behind it is good, but the execution is, argh, terrible. We all wanna strengthen our kids' creativity, but not at the expense of an heirloom piece, of course! A solution has been made, and it's, in my humble opinion, a genius of a product. 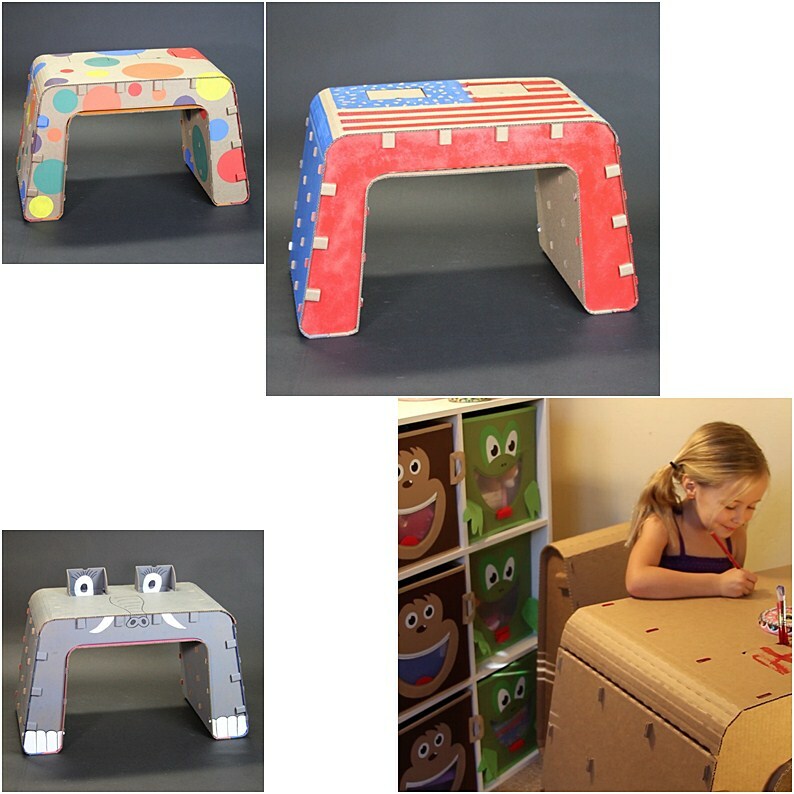 Presenting the eco-friendy cardboard furniture for kids to doodle on by The Cardboard Guys! 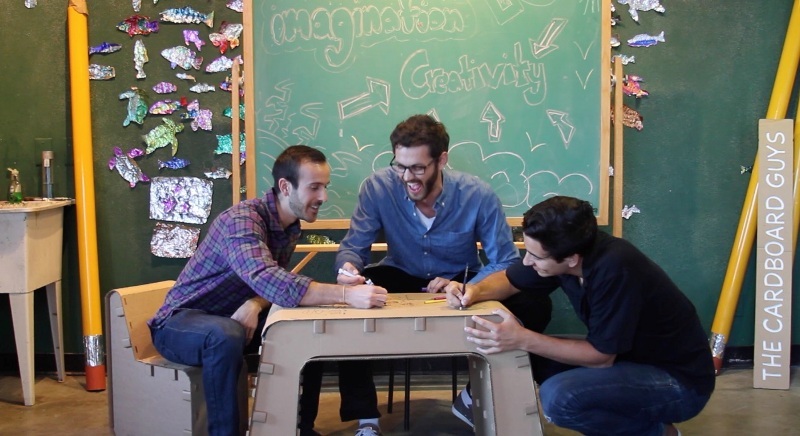 Two Cal Poly alumni, Justin Farr and Jordan Kepler, turned a humble corrugated cardboard into a fun and useful furniture for kids! I bet adults will have fun with it, too! I would. The concept is not exactly new. Frank Gehry's Wiggle Chair paved the way for equally appealing innovations such as this one. The Cardboard Guys use post-consumer recycled fiber for the Kids' Imagination Furniture, and for every tree that is cut down to create the rest of the material, seven are planted in its place. The desk and the chair are 100% recyclable. There are no screws or sharps that may pose harm to kids. You don't need adhesives to assemble one, either. You just snap the pieces together! It also comes flat-packed. Though lightweight, corrugated cardboard when pieced together becomes very durable. The Cardboard Guys' chair can hold as much as 500 lbs.! I think that this is the best thing our kids can get out of this. It's a good canvas for something awesome! Maybe your kid can create an art museum piece out of it; something that will be talked about for years to come! Kids can also do a pretend play of being a boss of a billion dollar company while sitting on their chair. I did this when I was a kid, and now I am living the dream! I am a blogger. *wink* Still with a chair and desk, guys. Still with a chair and desk. The design is pretty cool! Plus, it's very kid-friendly and can pass for a contemporary minimalist side table when painted in vanilla cream or ivory. The desk is equipped with reversible outer pieces, cubbies, and side tabs for DIY accessories and decorations. 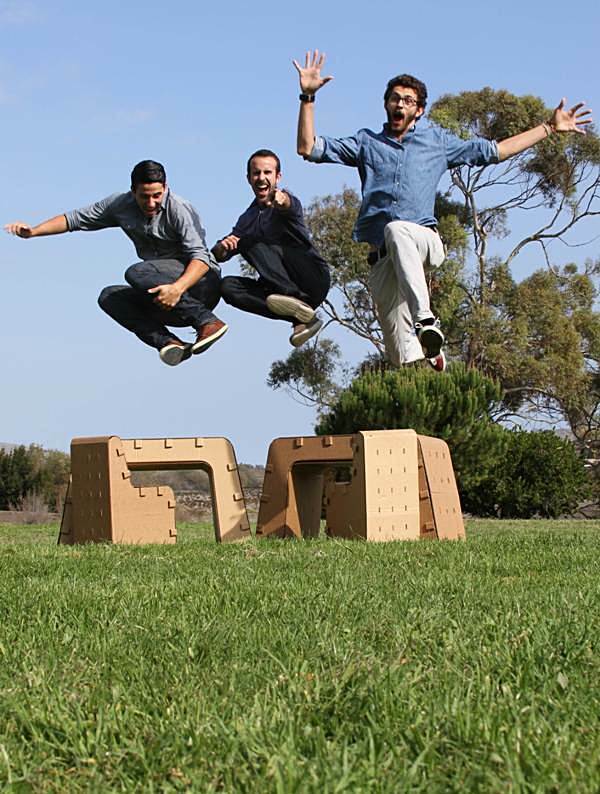 To raise money for their first run of manufacturing, The Cardboard Guys are launching a Kickstarter campaign on February 24, 2015. All backers will be able to pre-order the Kids' Imagination Desk and Chair for discounted prices along with perks, including a life-sized version of their mascot - Cardboard Corey. Kickstarter is amazing, isn't it? It's giving good chance for great minds to turn their ideas into a reality, such as this one, and this one, too! For more info about this, please visit The Cardboard Guys' site. Check out their live Kickstarter campaign here!